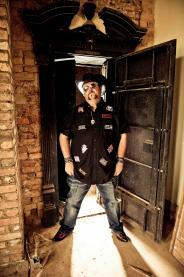 Country rocker Colt Ford is planning to play over 200 shows in 2012, including this Friday night at Joe’s Bar. And while many of his fellow rockers are known to get a little rowdy after the show, Ford says he usually has other…more important things to do…such as TWEET. Claiming Chicago as one of his favorite places to play, Ford is eager to spread the word on the May 1st release date for his new album ‘Declaration of Independence’, along with an upcoming headlining tour that will pair him with acts such as JB and the Moonshine Band, The Lacs, & Rehab. And while he can’t promise that any of the new tracks will find their way onto Friday night’s set list, he does say that the new album will give his fans exactly what they have been asking for.